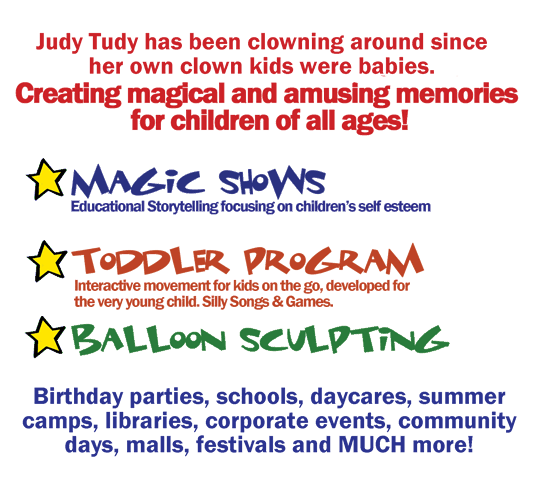 Judy Tudy The Clown | Balloon Sculpting, Magic, Games and More! 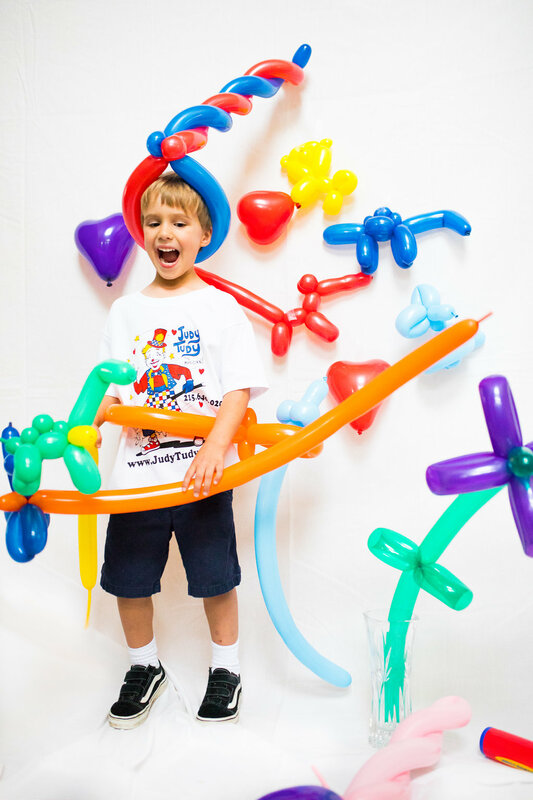 Inflating Smiles With Balloon Sculpting, Magic, Games and More! 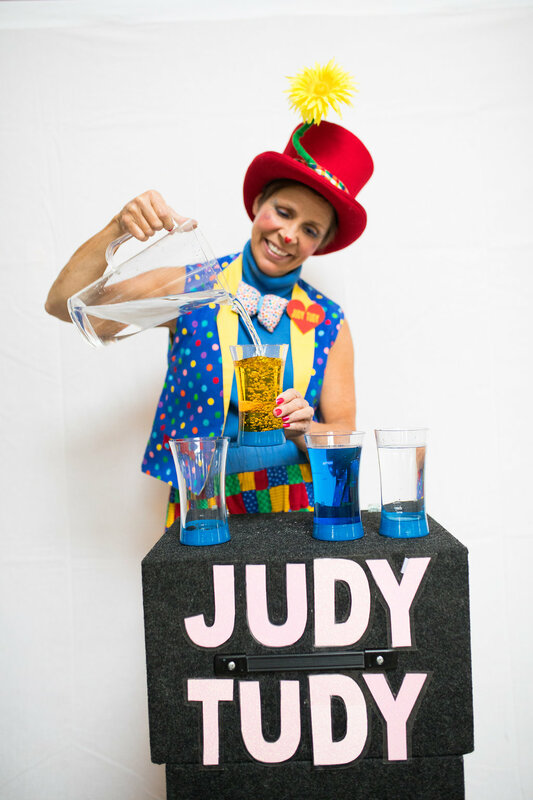 We had a carnival based party for our daughter complete with games, popcorn and cotton candy but the crowning jewel of the event was JUDY TUDY! The kids were all having a great time but when Judy arrived the fun REALLY kicked in. Judy’s story telling had parents as well as kids smiling and laughing along with the fun. The kids really liked the magic too and Judy made many of them part of the show. 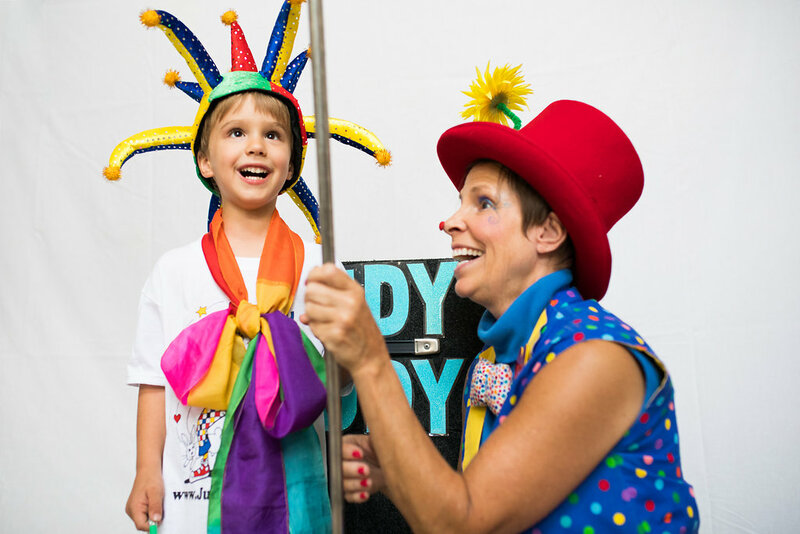 No child’s party is complete without fun, excitement and smiles and that is what Judy is all about! Dave and Fal K.
Judy Tudy is the friendliest clown around. She is entertaining, funny, sweet, and magical! She is so loving to the children and they look forward to her visits. 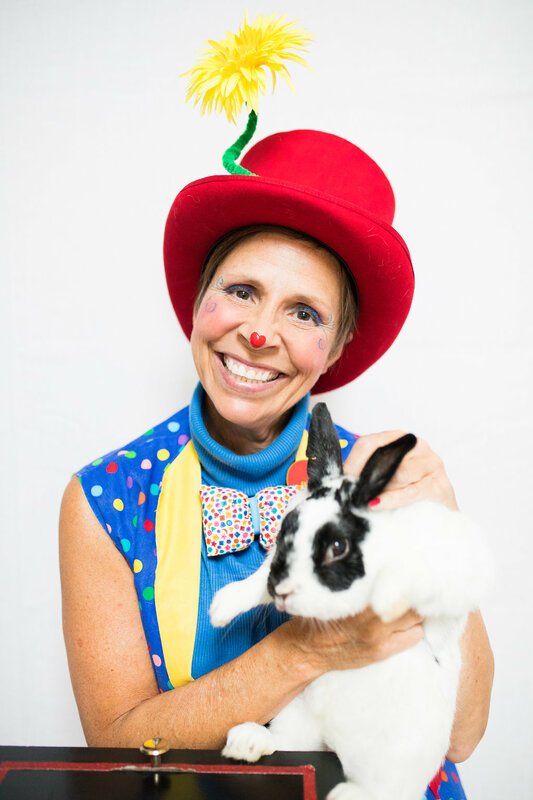 Not only does she do clowning around entertainment, she does magic show, readings, art, balloon making, and more. She will not disappoint! A wonderful choice for any party. She is calm and sweet and has a terrific ability to “WOW” the children. 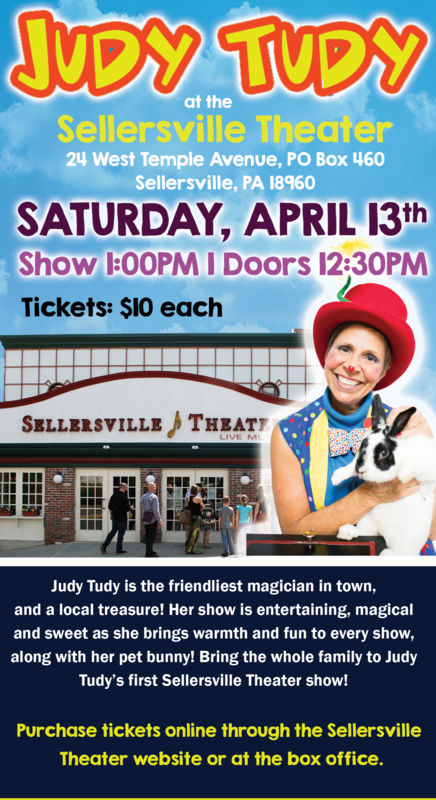 I was amazed when she had 20+ 3 year old kids sitting quietly for over 30 minutes while she talked about her wonderful clown family, sang songs and while they met the bunny. I have hired her multiple times for different age groups and she has never disappointed! I highly recommend using Judy Tudy or any of her family for your next event, I know I will! Danielle W.